“I have always battled with dry skin. And the thing about dry skin is that you get wrinkles faster than anybody else. For those with oily skin, wrinkles come later because, you see, they are moisturised all the time — sort of. But for me, I battled with wrinkles at an early age. My dry skin is genetic. All of my family members don’t have pimple problems but all of us have dry skin. I was 33 years old. I think I got wrinkles a bit too early. So I’ve been taking care of my skin since then. Before that, I didn’t even do skincare. I washed my face with just soap — bar soap. So the first thing I did — I looked for eye serums [for the] crow’s feet. 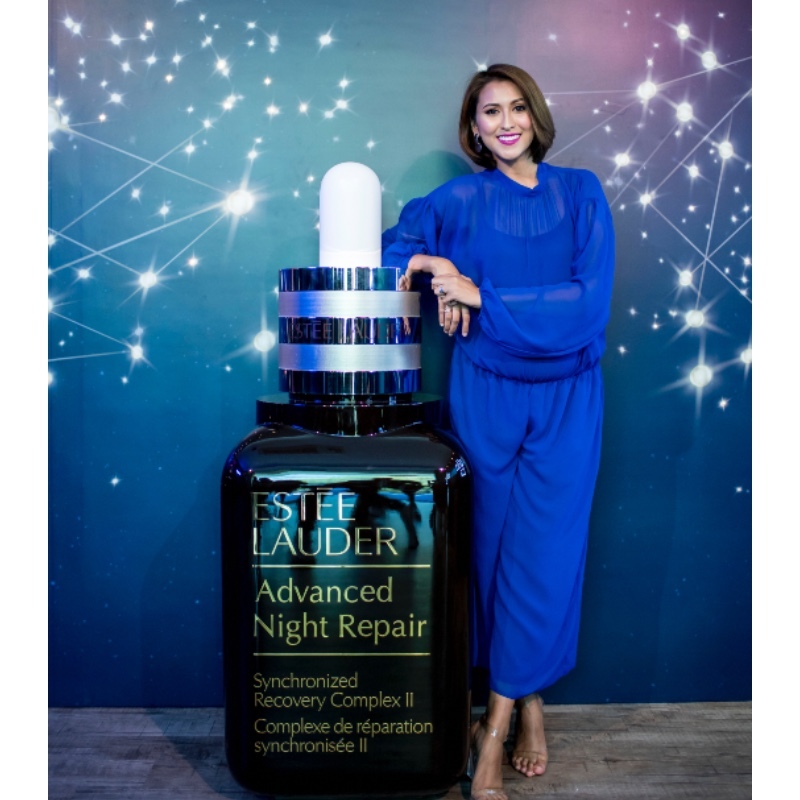 And then Estee Lauder actually sent me their eye serum (S$104) — a small, brown jar. They sent it to me for me to try out — it was a challenge for 21 days. And then I tried it for 21 days but I didn’t see much difference, you know? But then my crew member actually saw the difference. I started filming again and it was the same crew. It was the cameraman who pointed out, “Eh, you’re eyes a lot better.” I was very surprised because when we use it everyday, we don’t see the difference, right? But then those people who don’t see you for a long time — when they suddenly see you again, they can see the difference. Thats when I decided, “Maybe this is the one.” So I’ve been using that. I’m already on my fourth jar. I’m very disciplined — since young. I’m not just disciplined when it comes to timing, I’m disciplined when it comes to everything — taking care of my body lah. Believe it or not, I moisturise my body every single day. And when I say my body, I mean it’s every part of my body. I will make sure I don’t skip the moisturiser. I don’t skip my masks — and this is everyday. I will always find new products, new items to use on my skin — those kind of rollers. Anything I see? I’ll try. I always want to put something on my skin. 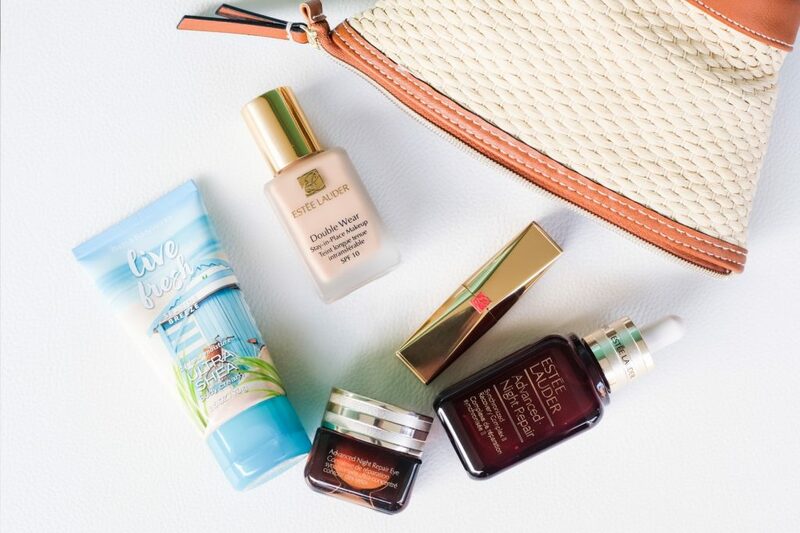 A peek into Nurul Aini’s makeup pouch — Bath & Body Works’ Live Fresh Ultra Shea body moisturiser; Estee Lauder’s Advanced Night Repair serum for the face (S$175) and eyes (S$104). It was actually after what happened to me that I realised I should have started taking care of my skin when I was younger. I think if I had done that, I would have been able to prevent the wrinkles from coming on this soon. I think I should have prevented it. I think if I had started when I was 24, 25 or maybe even younger, I don’t think I’ll have wrinkle problems right now. Yes. I mean, you will get wrinkles eventually. There’s no way you won’t have wrinkles. But it’s better to slow down the process. So at least it comes a lot later. My skincare [regime] takes about 20 minutes — 20 minutes before makeup, 20 minutes to remove makeup, 20 minutes before bedtime.